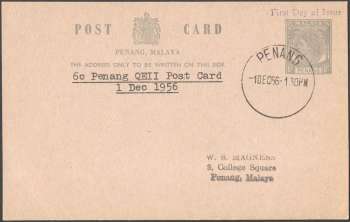 POST CARD PENANG, MALAYA THE ADDRESS ONLY TO BE WRITTEN ON THIS SIDE. 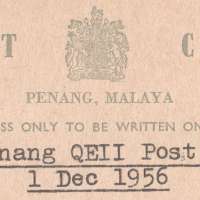 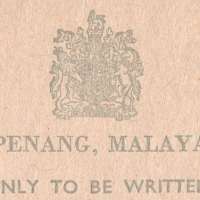 Postal stationery of Penang, previously part of Straits Settlements and during this time was incorporated into Malaya. 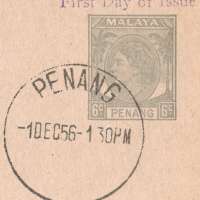 One circular date stamp (CDS) was used, either posted or as CTO.